1. The absolute thrill you get at the thought of doing major damage to your wallet at the mall, cracking jokes, while shopping with your friends (nothing but good times when you’re shopping with someone as funny as you are!) and the need to seek your shopping buddies’ approval on everything you buy. Although in the end, you ignore everything your friends say and just go with the stuff that makes YOU happy. 2. That amazing feeling when you find something gorgeous on sale. 3. The excitement you get while trying out all those clothes that look so good on the hanger, and finally finding something that fits you like a glove. 4. It’s just as insane when it comes to online shopping, where someone can outbid you in the blink of an eye. But that feeling you get when you nab that item you’ve been eyeing? Priceless. 5. 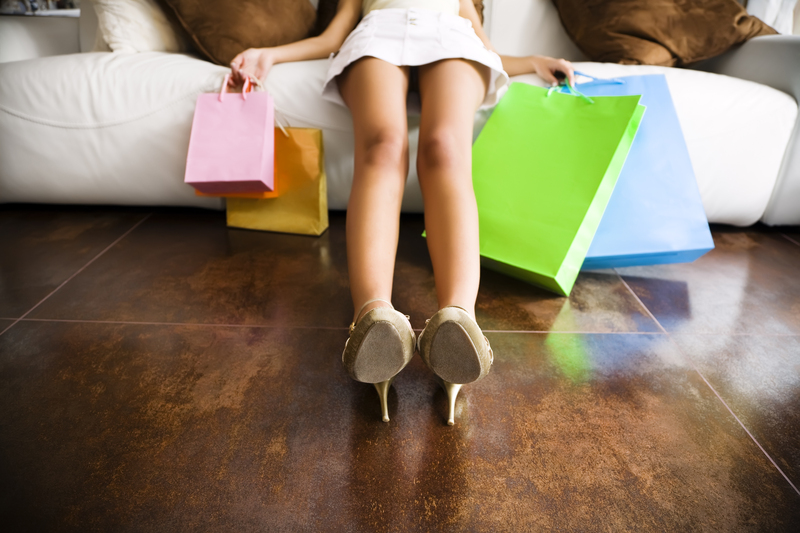 You still make the purchase (whatever it is), as shopping’s your only sinful indulgence (remember, you could’ve turned out so much worse), all the while, maintaining a poker face while your items go through the cash register and you’re bursting with excitement inside. 6. When it’s time to pay up, you realize just how much (or how little) money you have left, so you feel ridiculously happy yet a little guilty about your shopping spree. 7. But then you remember this nugget of wisdom and you know, deep inside: shopping is LOVE. They don’t call it retail therapy for nothing. Fine, it might hurt your wallet a bit, but it makes you happy, and that’s the most important thing here. Lucky for us, Cebu Pacific's GetGo Debit and Credit Cards by UnionBank is here to make shopping easier on the pocket! GetGo is the only lifestyle rewards program that allows users to earn travel points whenever they shop, which you can then redeem for free Cebu Pacific flights. Cebu Pacific's GetGo Debit and Credit Cards by UnionBank, a new fleet of cards by GetGo and UnionBank, allow everyone to earn points not just through shopping but also through the cardholder’s everyday spending. And if that wasn't good enough already, you can also earn more points at all Robinsons partner establishment whenever you use your GetGo rewards card. And get this: You can get a FREE roundtrip ticket with your new Cebu Pacific GetGo Credit Card by UnionBank! Apply and get approved for a Cebu Pacific GetGo Credit Card by UnionBank before August 31, 2016 and get a roundtrip ticket to ANY domestic or international Cebu Pacific destination of your choice! To join the promo, register at unionbankph.com/freeflight and use your newly approved GetGo Credit Card for a minimum accummulated purchase of P20,000 on or before October 30, 2016. Shopping your way to a free flight and more points has never been easier. Apply now for Cebu Pacific's GetGo Debit and Credit Cards by UnionBank and earn crazy points whenever you shop! "Retail Therapy?" Totally justified with GetGo!